This page was created to help you fix fix the User Profile Service failed the logon issue. Note: In order to carry out any of the following fixes, you’ll need to use an account that has Administrator rights. If you do not have an access to one, you won’t be able to execute any of the suggested methods. 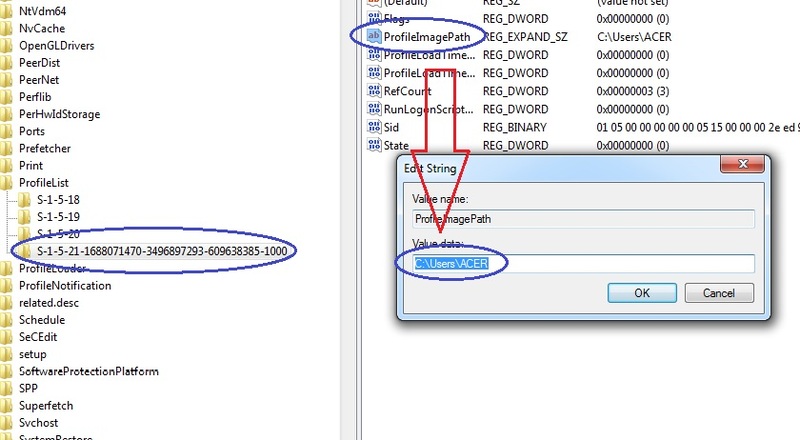 For this method you will need to access your Registry Editor. Here’s how to do that: open your Start Menu and in the search field type regedit. Click on the first search result. Disclaimer for fixes 1 and 3: This will require you to modify keys in your Registry Editor. If the instructions are not followed carefully, unforeseen consequences may occur. Therefore, proceed with caution. We also advise you to create a back-up of your Registry, just in case. Here’s how to do that: Click on File and select Export. 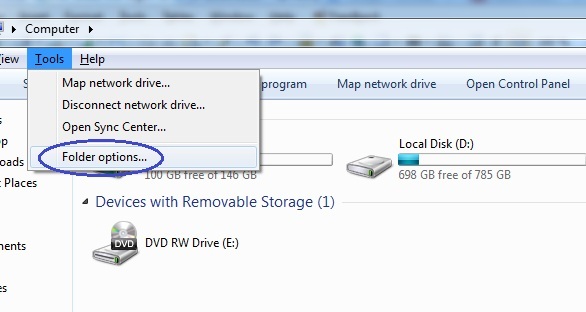 Choose a where you want to save the registry back-up and give the it a name. Also, make sure that you set the Export Range to All. After having done that, click on Save. You can use this backup in case anything goes wrong while fixing the user profile service failed the logon error. Look for a folder which name is S- 1-5 followed by many numbers. If there’s more than one, click on each folder and then double-click on ProfileImagePath in the right panel to until you find the problematic user account. Rename the folder with no extension, adding .ba to its original name. Now rename the folder with .bak, deleting only the extension. Finally, rename the folder that currently has an extension .ba, changing it to .bak. Close Registry Editor and restart your PC. Now try logging in with the problematic account and see if the error’s been fixed. If you have another temporary profile on your computer, you can copy the data from the one that is giving the error and transfer them there. Here’s how to do it. Reveal hidden files. To do this, open any folder and click on Tools from the toolbar from the top of the folder (if you don’t see the toolbar, press Alt). Now, from the drop-down list, select Folder Options. 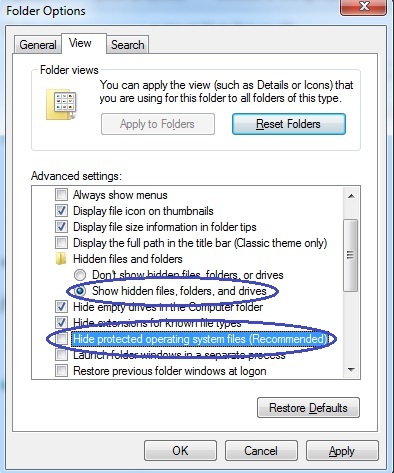 In the resulting window go to the View section and scroll down until you reach the setting Show hidden files, folder and drives – check that setting and uncheck the setting labeled Hide protected operating system files.Click OK.
Navigate the following path: C:\Users\(Error giving account). Copy all files and folders from that folder except dat, Ntuser.dat.log and Ntuser.ini. 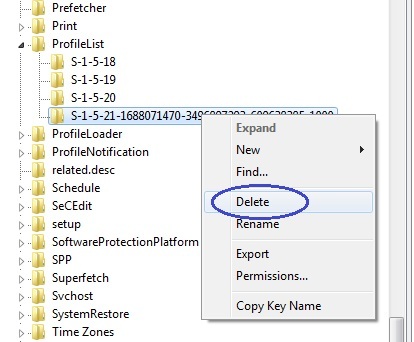 Now go to the folder of the account you want to transfer the files to and paste them there. Now you can use that new temporary profile, instead of the old one, that is giving the error. If you want to delete the old one, go to our third fix. The first thing you need to do is open your Computer, right-click somewhere in the empty space and select Properties. In the resulting window go to Change Settings > Advanced tab > Settings (under User Profiles). In there, click on the problematic profile and delete Click OK.
Delete the S- 1-5 folder containing the problematic profile. Restart your PC and create a new p temporary profile. Hopefully, out instructions were able to help you fix the User Profile Service failed the logon error. If you have any questions or just want to say Hi feel free to do it in the comment section below.